Single tickets are now on sale for all remaining Off Broadway On Flora 17/18 Season shows. The Off Broadway On Flora 2018 season explores relationships: with ourselves, and with the community around us – the way all excellent theatre should. 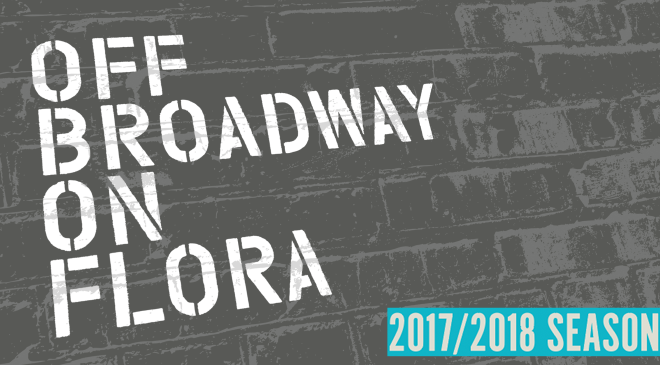 As with our previous season, Off Broadway On Flora 2017 – 2018 will feature adventurous, humorous, thought-provoking and challenging touring productions, many of which have enjoyed sold-out success off Broadway and elsewhere. Off Broadway On Flora begins with Small Mouth Sounds January 31 – February 4; a show that investigates what it means to be…quiet. In March, the series continues with the enigmatic and poignant 600 HIGHWAYMEN – The Fever March 27 – April 1 where audience participation isn’t just encouraged, it’s required. Continuing in the summer, the newest comedy smash from The Second City, The Second City Summer Blockbuster busts blocks and guts from June 6 to June 9. The season culminates May 25 & 26 with Celebrity Autobiography a hilarious, dramatic reading of celebrity biographies…read by celebrities.